With the help of the functionality of i‑effect®‘s EDI converter it is possible to convert different file formats such as: EDI messages, IBM i files, PC formats or database entries, as well as ERP files. For example, you can convert the original formats you use in-house into message formats of common EDI standards (e. g. UN/EDIFACT, ODETTE, VDA, ANSI X12, etc.). Our graphical EDI mapping module *MAPGUI facilitates the creation and maintenance of EDI mappings, so you can keep track of your processes yourself. There are various communication protocols for transmitting the corresponding EDI messages to the respective partners. Both industry-dependent and industry-favored transmission paths are available. With the communication modules of i‑effect® you transfer your data automatically, securely and efficiently to your business partners by using a multitude of possible communication modules (*AS2, *OFTP, *EMAIL, etc.). In order to control your business processes and your entire EDI workflow on IBM i, our *SERVER module offers extensive possibilities for the automation and monitoring of functions and work-processes. 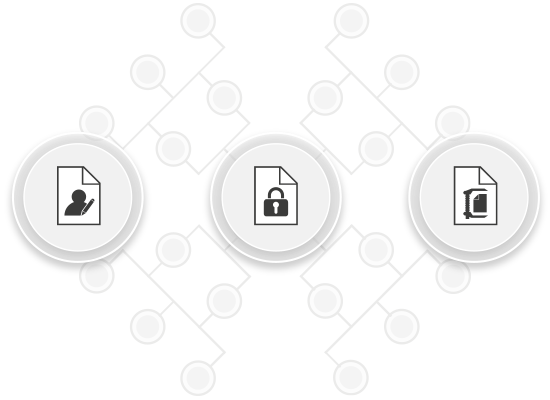 Define time- and/or event-controlled tasks for the automated processing of files or for the control of workflows. You can additionally use our extensions to enhance your processes. For example, you can compress data natively on IBM i using the *ZIP module. With the free graphical administration interface *WEBCONTROL you keep track of all processes that take place in i‑effect®. With *IASP you provide the necessary security for systems that are critical for your day-to-day business. i‑effect® is the only IBM i and IBM Power Systems solution that takes over the complete workflow and lifecycle of electronic data exchange. Install and update i‑effect® with our graphical installer even outside the green screen. The graphical web interface i‑effect® Webcontrol enables intuitive control, administration and monitoring of your EDI processes and server workflows. i‑effect® has a modular structure and thus offers the possibility of an individual composition according to your operational requirements. Our software is flexible, fast and secure to integrate. For the communication of EDI messages i‑effect® offers a multitude of different communication modules supporting different protocols. The choice of a certain communication protocol depends strongly on you and your partners as well as on the respective industry standards. The EDI converter modules of i‑effect® enable you to convert data from your in-house system (e.g. ERP) into a standardized data format or to write incoming data from this format into your internal application programs. Not only products, but also processes have to be constantly developed. With the module i‑effect® *SERVER you can automate all your i‑effect® functional processes or selected workflows - time-controlled or according to defined IBM Power-Systems events. 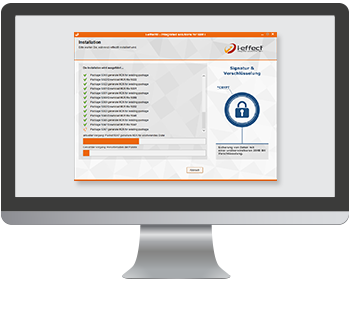 i‑effect® provides you with the necessary modules, which equip your electronic business processes with a special transmission and information security. You can additionally use our extensions to enhance your processes. For example, you can compress data natively on IBM i using the *ZIP module. With the free graphical administration interface *WEBCONTROL you keep track of all processes that take place in i‑effect®.